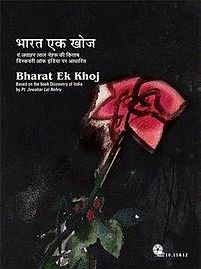 Episode #14 of Hindi TV Serial Bharat Ek Khoj (which was aired on DoorDarshan and now is available as a set of DVD for home viewing); explores the first segment of the Sangam period mainly through exploration of Silappadikaram. The development of culture and literature in Southern part of India is explored nicely in this episode. The earlier segment of this episode talks about how a well developed culture was already there in the Southern India when Arya people came to India (Bharat/Hindustan). It is said that the literature was well setup in Tamil Nadu in around 4 B.C. It was the time when even more southern segments were ruled by Chola, Pandya and Chera kings. The episode also notes that the Southern area was comparatively less explored by intruders who mostly attacked the northern areas. One of the reasons was the geographical situation as well. As most of the northern India is linked with land to the other countries and continents, the southern part is covered by the sea/ocean from 3 sides. So even when the empires started being setup and ruled in the northern area, the southern part was living in the stone age. The literature created/crafted in the Sangam period gives the detailed and chronological information about the history of Southern India as well. The Sangam period is considered to be 1 A.D. to 4 A.D. According to Tamil tradition, it is said that Madurai was the place where 3 literary aspects met and consolidated. Such union of literary aspects is not seen traditionally in the northern areas. The Tamil poets were very near to the folk songs and literature. That’s why the life of a farmer, the village life, the city life etc. are explored from the common-man’s angle, in Sangam literature very effectively and in authentic manner. The episode also explores some of the south Indian temples, sculptures and monuments during this narration. The episode also explores the types of poetry crafted during the Sangam period. They were 1. Akam and 2. Puram. Where Akam – were focused on internal feelings. Puram – were focused more on the outer world, and they are usually focused on public life, kings, wars and more. The director intelligently weaved one sample of both type of poetry in the episode. The are very effectively recorded. Over the period of the Arya and Dravid cultures were integrated with each other very smoothly and it created the Indian culture in the way it is found these days. As with passing time, the Sanskrut (Sanskrit) literature reached the southern areas and influenced the same. Hence the southern literature from 6 A.D. have almost reshaped in better ways. The Tamil poets have started wring long poems, which was later got famous with Sanskrit word – Kavya. One such famous and ancient poem is – Silappadikaram (The Jeweled Anklet). It is worth to note that despite of having fantastic literary qualities, this poem is very realistic portrayal of the life of common-men (during that period). And probably that is what makes is unique and popular. It is said that it might have been created by Ilango Adigal (he happens to be brother of a king). But, it may be possible that it is written during later times. The episode then explores the – Silappadikaram. The areal views of the cities and places of Southern India is a delight to watch. As this episode explores the poems and other literary stuff, the background music and songs of this episode plays more important part than the other. The background music and songs both are really authentic and ear-pleasing for sure. The cinematography of this episode is also worth to note. The narration is written so nicely that it almost gives us a tour to the ancient south Indian literature in summarized manner. The exploration of Silappadikaram is done nicely too. Nice content and fantastic actors met together in the same, making it a delight to watch. As the DVD set is available in two qualities, the costly one has better resolution and sound effects. But the cheaper one also not a bad deal. Though, if you are watching on high resolution TVs, it is better to go for the better quality DVD set. Overall a nice episode. It is found interesting for those who love to explore, history, literature and social aspects and customs of ancient times; others may not find it very appealing. But in terms of quality of content, it is definitely worth to go for.